Buying our Ex-rental Campers for Sale in Sydney is an affordable way to own a premium quality used campervan. 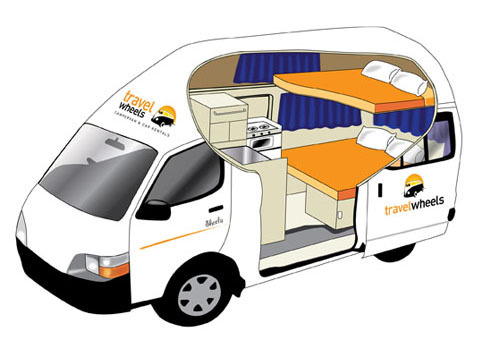 Travelwheels for example have a great range of ex-hire campervans ready to go! Furthermore they have been regularly serviced by our team here in Sydney. Therefore call Shaun on 0421101021 to arrange a test drive today! All our Ex-rental Campers for Sale in Sydney are especially comfy! Therefore the kitchen/lounge is a great space to relax whilst touring. The kitchen area together with the lounge has been professionally designed for practicality. 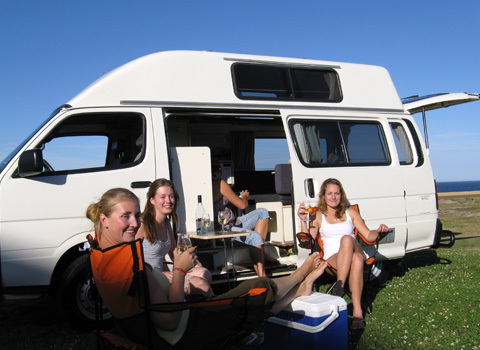 These campervans are highly regarded and therefore sought after. 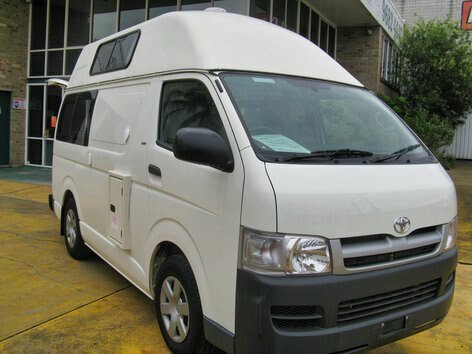 Anybody regularly wanting to explore Australia by camper will benefit from this quality campervan. 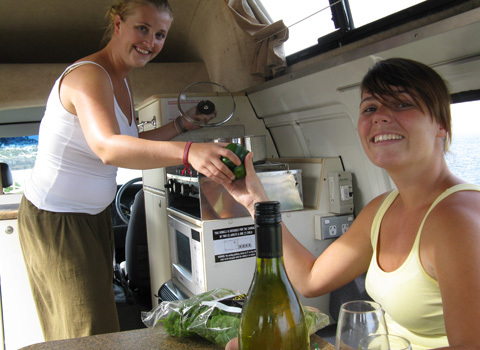 Here at Travelwheels campervans in Sydney we especially love touring Australia by campervan! These hitops are more popular than ever in Australia! This for example is our best selling ex-rental model. They all come with air conditioning, power steering and three seats in the front. Easy to convert double bed + single bed in the roof! As you can clearly see the design in this case speaks for itself! Simple clean lines, and comfy living area! Making this campervan a joy to tour around Australia. Here is a drawing of the two bed configuration. For example the bed takes about one minute to dismantle or set up! It’s easy to see why according to the Australian public campervan is in demand! • Sleeping configuration: rear dinette converts to a big double bed. 1.85m x 1.55m. Single roof bed in HiTop roof, 1.6m x 1.4m. • Dual Battery System: one for the fridge & internal lights and 2nd battery for the engine. Here at Travelwheels we especially love selling campervans. They are for example a great way to explore Australia. Therefore when you buy one from us, you get the following benefits included. Interested in our Ex-rental Campers for Sale in Sydney? If you are interested for example in our campers, contact us! 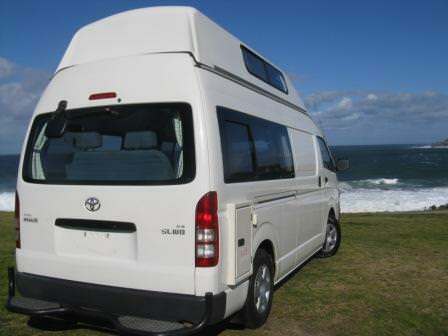 By the way you can view our Ex-rental Campers for Sale in Sydney at our depot. Therefore we suggest calling our team on 0421101021. Otherwise send us an at [email protected] The next time you are in Sydney, check us out at 11-15 Clevedon Street, Botany, 2019, Sydney.